This is a rather interesting development that the folks at Engadget have caught wind of. Recently passing the FCC is a Samsung device, model number GT-i9023 which includes AWS T-Mobile 3G. Engadget makes careful note that this device, just by its outline, looks incredibly like the Nexus S.
The i9023 recently received both Wi-Fi Alliance and Bluetooth SIG certification but without any sort of evidence that could point us to the actual name of this device. Given some European intel however, it’s very possible this is simply just a color change but as is pointed out, why would that necessitate a new FCC filing? Is it possible Samsung is looking to tweak the Nexus S a little, drop in some HSPA+, add some Android 2.4 and put this puppy up for sale? So is this something new? Is it possible, however unlikely that this is the Vibrant 4G with a slightly different shape than the original Vibrant? Take a look at the video and tell us what you think! Pretty much yea and would look like maybe the iPhone5 possiblyI have had 2 Nexus S’s and neither had the issues you describe. I would love a 4G Nexus S though especially running the absolute latest. 5 days before its officially a month after release. You gotta be shitting me…. You only have yourself to be outraged at for buying a phone in late 2010 with no hspa+ or expansion slot just for the minor update to the os. Oh gosh… not another Samsung! I currently using a Samsung vibrant and not planning to buy any of their phones until They keep their words regarding OS updates. THANK YOU VERY MUCH! Exactly! If they can’t keep their promise, then don’t say shiet. Stop fooling and misleading us! Ignorant fools (don’t mean it in a harsh way). Nexus S updates are by Google, not Samsung. Get this in your heads everyone. Geez, not hard to comprehend. I don’t think u comprehend my post either. Making yourself look like an ignorant fool. tru but her description says otherwise and shes not the one holding the phone..she sounds like an informant. So Samsung is just a$$ F%$#ing every one a few times this year……..way to go…also a way to get loyal customers. Stock Android Experience is worth losing the SD card support. I wish this is a Dual-Core 4G Super AMOLED + screen Nexus S !!!! I think it is a variant of the Nexus S with a 4g radio, maybe a new processor and of course Touch Wiz. If it has Touch Wiz, it can’t be a Nexus. I dont see how anyone can be happy that Google put out a phone and took away SD expansion! I have owned several samsung phones fr tmobile, and i have never had an issue with them. i dont understand why so many are mad because they havent got 2.2 yet. yea i can see being anxious to get ota’d to 2.2, but not a reason to go from i love this phone (from blogs on vibrant when it just came out), to i hate samsung. android is evolving like really fast, i would be ok waiting a little longer for better updates. i’m just sayin’……. I’m still getting the current Nexus S. F#@k HSPA+ since T-Mobile only gives me EDGE and don’t want the Tmo crapware that will come with this unless it comes unlocked of course. Great now my Vibrant is THREE upgrades behind. Great! Now you can experience random reboots at blazing 4G speeds! It’s possible NS with 32GB of storage (I’d guess this version also doesn’t have memory card support) plus HSPA+, but why there’s no variation with 850/1900 3G?! I’m always happy to hear about new phones but I’m going to be so pissed if this is a 4G or updated Nexus. I can’t imagine Google could do that to us, maybe they’ll issue a refund or something if this is what’s happening. I’ve got until next Monday so there better be more information by then. Why would they make another Nexus S? Didn’t it just come out? The thing with all these companies nowaday is that money only flows one way. Into the company, not out. They consistanly tell you to buy thier phone and say how great it is, and then a few months latter, they release the same exact phone only with better specs and features. After they’ve sold a gazillion other phones and then tell you to buy then same phone you’ve already got, just better. Next they’ll release one with 4G, then one that has 2.3, 2.4, 3.0 and so on and so on. All the while hoping that your too stupid to realize that you’ve been played. While they get richer and richer, you get poorer and poorer. what ever this turns out to be.. we’ll find out soon…… but i have to admit it looks like a nexus s……….. if this turns out to be another nexus s than we all should get free upgrades no question ask! and i hope it comes with this spes: Nvidia Tegra 2, Super Amoled Plus, 10mp full HD Cam, SD Card Slot, LED Notification Light, HSPA+ and a dedicated camera button……..
Could it be possible that it is just the European version of the Nexus S that was reported to have a S-LCD screen instead of Super AMOLED? If it is an updated version of the Nexus S in America, well, blame Samsung for milking it. I doubt Google would want to alienate customers while they are riding a major boost in adopters. It probably is the Euro version (Europe always gets the better versions it seems) but the FCC is only for the US so its probably coming here. Maybe under a new name, who knows. I’n not going to lie if this is a new Nexus S with HSPA+ I’m going to be really pissed off. I spent over 500 on a phone that is not even worth it now. Thanks Sammy, and Google if this will be str8 android. Since Google is releasing it’s own version of smart phones (Nexus One) followed by (Nexus S), there is no way that another device made by any company can receive a newer version of the Android OS before Google’s official phone. Unless the post here means that this phone will be released after the release of Android 2.4, then it makes sense that it will be released with 2.4. Bimmerz, where have you been! G’morning David! Still here, I just haven’t posted much – your site is still the 1st one I hit up for news. :o) Hope all is well with you, and that you have a good 2011! I too am curious about this, if it’s a good size.. I wonder if they’re going to upgrade the CPU as well, seeing as how the Optimus 2X is coming out soon as well.. The store rep was referring to the phone in this article: https://www.tmonews.com/2011/01/samsung-vibrant-plus-will-offer-21-mbps-4g-speeds/ basically the same hardware as the Vibrant but with a FFC, HSPA+ and Froyo. It’s a slap in the face to all Vibrant owners who are still waiting for promised Froyo. The phone in THIS article is looking like the next iteration of the Nexus S. Which only just dropped like 2 months ago. Well if you bought the Nexus S be pissed! I just watched the video and its the Nexus S running android 2.4! If you look above android version durng the video you’ll see it saysNexus S! Although I think this one has a keyboard though! Here’s I thought! How about you upgrade the f@#kin vibrant that’s out now! 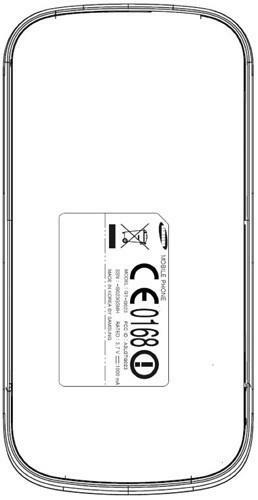 So why a new FCC filing in the US if this was a Nexus S for Europe. The FCC has nothing to do with Europe’s wireless laws. If TMobile makes the mistake of offering the Vibrant 4G before updating current Vibrant users, And not offer a free or convenient upgrade path (very low cost, < 20 for handling fees for T Mobile no money for Samsung) It would be welcome. Anything short of the above, will cause mass exodus of Android loyals out of T Mobile. why do people get mad that new versions of phones come out? do you think your are owed a free upgrade? no you choose to buy the phone u bought. it was great when u bought it, and nothing has changed. noone signed a garuntee saying u would get updates or anything of the like. so shut uuuuuup… lol. if you dont like the upgrade wait, then take it to XDA forums and do it yourself like everyone else. If your too lazy for that then quit complaining. Wan wan wan!!!!!!!!!! All of u cry about updates. Go to xda and get the latest updates! I’ve been on this site alot and have seen to many uninformed people. HD2 android!!!!!!!!!!! !